Ebeneezer Scrooge is visited on Christmas Eve by the ghost of his former business partner; and so begins a night of haunting visitations that will change his miserly existence forever. Charles Dickens’ monumentally successful Christmas fable immortalised characters such as Tiny Tim, Bob Crachitt and the ghosts of Christmas past, present and future. The story of Scrooge’s miraculous transformation demonstrates the power and importance of charity, empathy and love for your fellow beings at this festive time of year. Charles Dickens was that rare thing: a universally popular author who addressed social issues as well as maintaining literary integrity. I've read Dickens's 'A Christmas Carol' every December since I was 10. Now I read it to my daughter. Charles Dickens was born in Landport, Portsmouth, on 7 February 1812. Charles was the second of eight children to John Dickens (1786–1851), a clerk in the Navy Pay Office, and his wife Elizabeth Dickens (1789–1863). The Dickens family moved to London in 1814 and two years later to Chatham, Kent, where Charles spent early years of his childhood. Due to financial difficulties, they moved back to London in 1822, where they settled in Camden Town, then a poor neighbourhood of London. The defining moment of Dickens’s life occurred when he was 12 years old. His father, who had a difficult time managing money and was constantly in debt, was imprisoned in the Marshalsea debtor’s prison in 1824. Because of this, Charles was withdrawn from school and forced to work in a warehouse that handled ‘blacking’, or shoe polish, to help support the family. This experience left profound psychological and sociological effects on Charles. It gave him a firsthand acquaintance with poverty, which would make him the most vigorous and influential voice of the working classes in his age. After a few months, Dickens’ father was released from prison and Charles was allowed to go back to school. At fifteen his formal education ended and he found employment as an office boy at an attorney’s, while he studied shorthand at night. From 1830 he worked as a shorthand reporter in the courts and afterwards as a parliamentary and newspaper reporter. In 1833 Dickens began to contribute short stories and essays to periodicals. A Dinner at Popular Walk was Dickens’ first published story. It appeared in the Monthly Magazine in December 1833. In 1834, still a newspaper reporter, he adopted the soon to be famous pseudonym Boz. Dickens’s first book, a collection of stories entitled Sketches by Boz, was published in 1836. In the same year, he married Catherine Hogarth, daughter of the editor of the Evening Chronicle. Together they had 10 children before they separated in 1858. 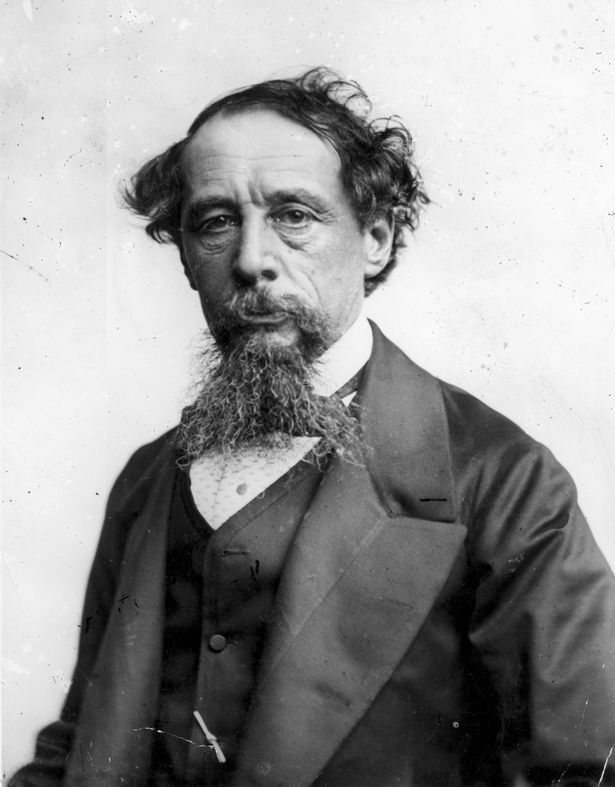 Although Dickens’ main profession was as a novelist, he continued his journalistic work until the end of his life, editing The Daily News, Household Words and All the Year Round. His connections to various magazines and newspapers gave him the opportunity to begin publishing his own fiction at the beginning of his career. The Posthumous Papers of the Pickwick Club was published in monthly parts from April 1836 to November 1837. Pickwick became one of the most popular works of the time, continuing to be so after it was published in book form in 1837. After the success of Pickwick, Dickens embarked on a full-time career as a novelist, producing work of increasing complexity at an incredible rate: Oliver Twist (1837–39), Nicholas Nickleby (1838–39), The Old Curiosity Shop and Barnaby Rudge as part of the Master Humphrey’s Clock series (1840–41) were all published in monthly instalments before being made into books. In 1856, his popularity had allowed him to buy Gad's Hill Place, an estate he had admired since childhood. In 1858 Dickens began a series of paid readings, which became instantly popular. In all, he performed more than 400 times. In that year, after a long period of difficulties, he separated from his wife. It was also around that time that Dickens began an affair with a young actress named Ellen Ternan. The exact nature of their relationship is unclear, but it was clearly central to Dickens’ personal and professional life. In the closing years of his life, Dickens worsened his declining health by giving numerous readings. During a reading in 1869 he collapsed, showing symptoms of a mild stroke. He retreated to Gad’s Hill and began to work on Edwin Drood, which was never completed.